It’s that wonderful time of the week again, it’s Wallpaper Wednesday. Today I’ve got a real beauty to showcase, one that has really caught my attention, and is actually going to go on a wall in my house ….. next week. 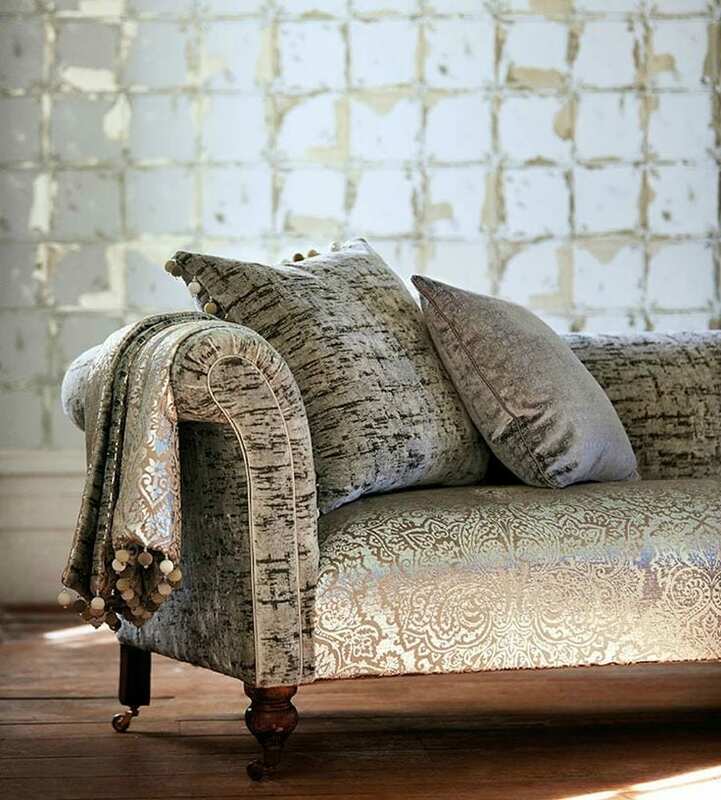 This is Akoa, part of the Leonida Collection from Harlequin. Available in 5 neutral and pale colourways, I have it in Platinum (as in the image below) ready to go on the walls. 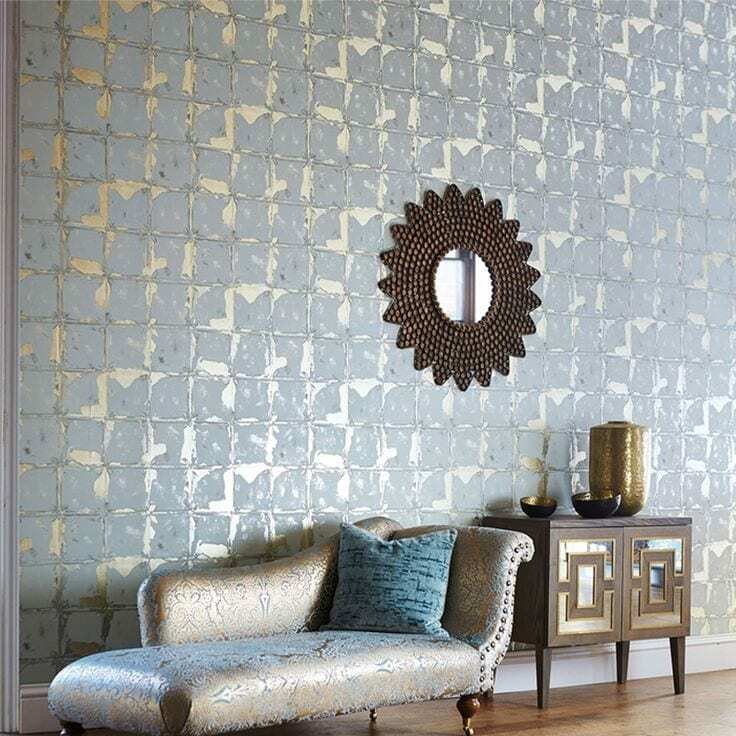 It’s inspired by embossed enamelled screen and has the appearance of peeling tiles but with a more sophisticated twist. Printed on foil, the colours metallic colours dance and alter with the bouncing light, making it incredibly interesting. I wanted quite an urban, industrial look but not too gritty, so this is just perfect, and I’m mixing it with a strong, very dark green paint colour, grey stripe carpet and concrete lights. The moodboard looks good, so I’m hoping it works once it’s all in place. I did think that it would work well with a pale grey paint colour – grey is so popular now and very in – but it just looked washed out, and in fact the foil edges have a greener shade to them, so it wasn’t working at all with the grey tones. Worth noting. I did wonder if the smaller tile pattern would be too ‘fussy’ on a longer wall but I think they’re just big enough to work. Brooklyn Tin Tiles was just out of my league for this particular project! The colours are neutral enough to work in any room I think, and mixed with stronger colours or more metallics, or as in my case, a more ‘cosy industrial’ look, it will work well. We are on the final stretch of the house renovations now, and the attic conversion is really getting there. The decorating and wallpapering will be done later next week, giving me just enough time to tidy the house before Christmas. Harlequin Akoa is available from wallapaperdirect and costs £78 per roll. Love this collection. Lovely wallpapers @Jen.